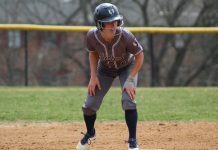 (THE PICKET)- The Shepherd Softball team hosted Fairmont State on Tuesday and shocked fans by blowing out the Falcons in the first game, and getting blown out in the second. The Rams came out in the first game trying to keep their win streak alive. It didn’t look too promising when the Falcons scored three unanswered runs in the first inning. 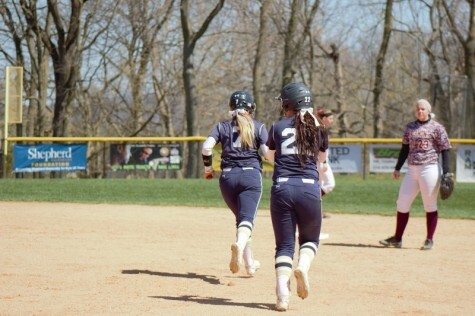 The outlook on the game changed when the Rams’ bats ignited in the bottom of the second inning when Rachel Taylor’s 3-RBI home run started a rally. Shepherd quickly put five runs on the board and made sure FSU knew they were here to compete. They added five more runs in the fourth with a three-run double by Molly Staley. They were not finished there. With another inning unanswered by the Falcons, the Rams picked up their bats once more, and were able to score an unearned run on a FSU error. Kaitlyn Konopka went 3-for-4 while Paige Buckworth and Connor Gilligan each went 2-for-3. 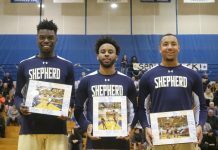 The Rams defeated the Falcons in game one 11-3 but the tables turned for Shepherd in game two. The Rams plated two runs in the first inning on a 2-RBI double by Kaitlin Munda. The Falcons answered by starting a rally of their own. FSU scored four runs in the second inning, one in the third and one in the fourth, all unanswered by Shepherd. This put the Rams in a 6-2 deficit. 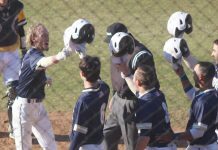 The Rams found life in the fifth inning when Staley singled to center field which scored two runs. 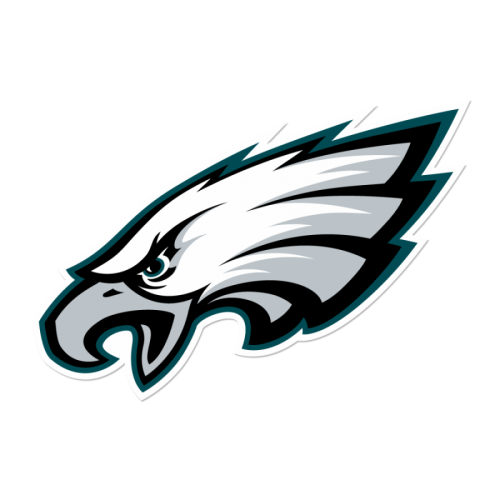 Unfortunately, the Falcons were not done either. FSU rallied in the seventh inning to scored six runs that were unanswered by the Rams, giving them a 12-4 victory. Munda and Staley each drove in a pair of runs for the Rams. Courtney and Buckworth each recorded a pair of hits in the nightcap. With this split series, the Rams sit with an overall record of 18-9 and are first place in the Mountain East Conference at 12-3. 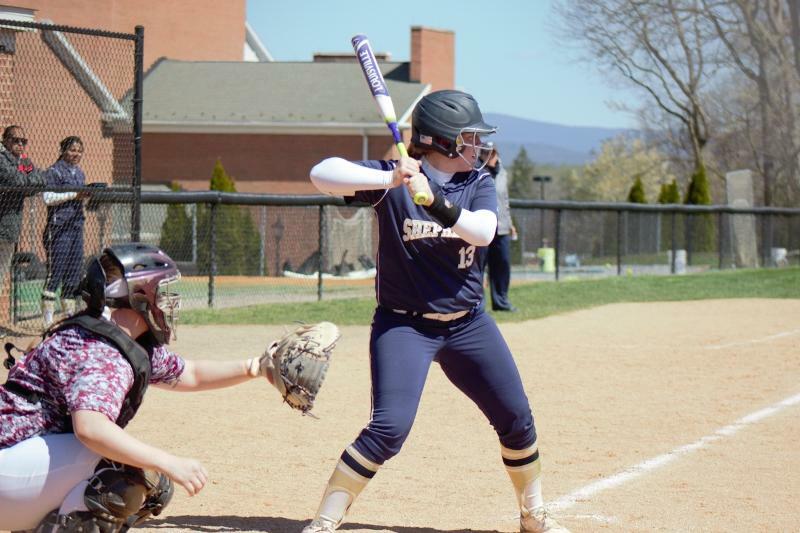 The Rams travel to Shippensburg University on April 6 for a double header starting at 2:30 p.m.